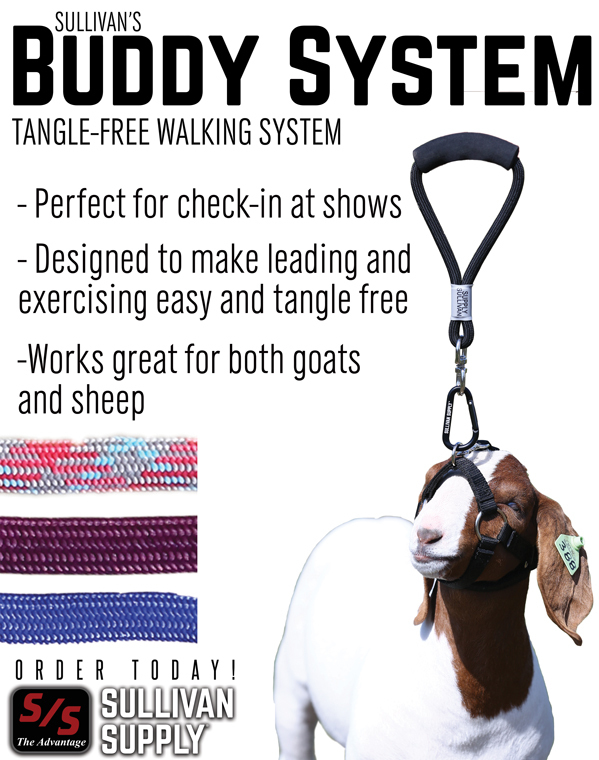 This is the perfect system for checking in your sheep or goats at the shows! It is designed to make leading and exercise easier and tangle free for you and the animals! Sullivan’s Buddy System has a comfort, foam grip with swivel hardware to limit tangling during exercise.